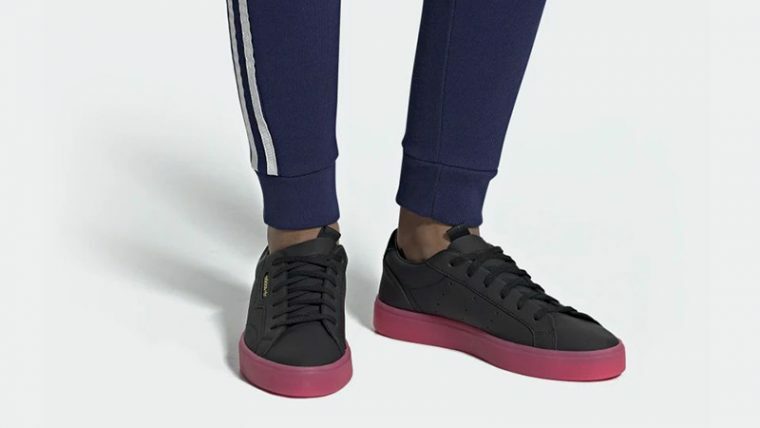 A flash of colour brings a unique edge to the adidas Sleek Black Pink. Smooth leather takes over the upper, while a vibrant touch appears under foot. 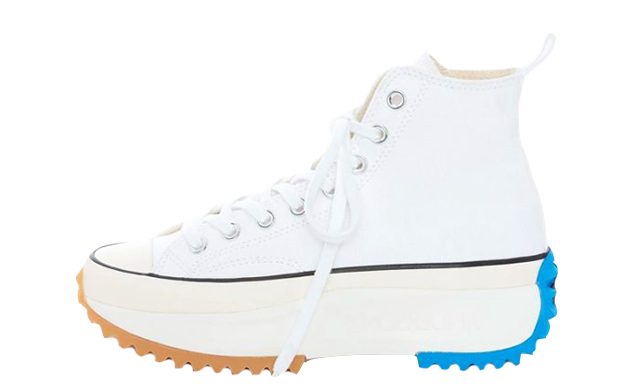 The Sleek is one of adidas’ newest women’s exclusive releases and you won’t want to miss out! 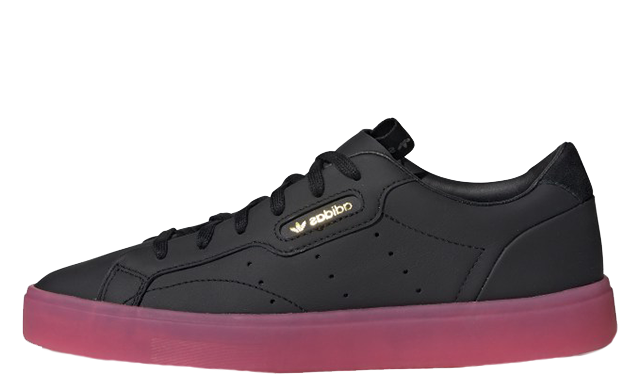 Modelled specifically for the girls, adidas’ latest silhouette features a narrow shape to achieve a feminine look. Black hues cover the upper, complete with 3-Stripes perforations for additional breathability and an on brand look. Under foot, a sturdy rubber midsole appears in Super Pink, providing a bold touch of contrast. To complete the shoe, a matching black suede patch arrives at the heel. Golden branding also stands out in retro windows on the side panels, bringing a glamorous feel. 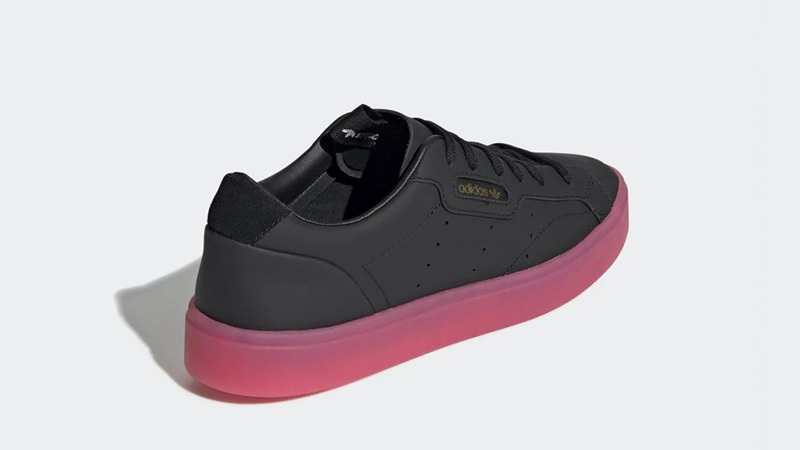 If you’ve been searching for a modern classic to add to your rotation this season, you can’t go wrong with the adidas Sleek Black Pink. Shop your pair via the stockists listed from February 27th and click the bell icon above for release reminders and updates.